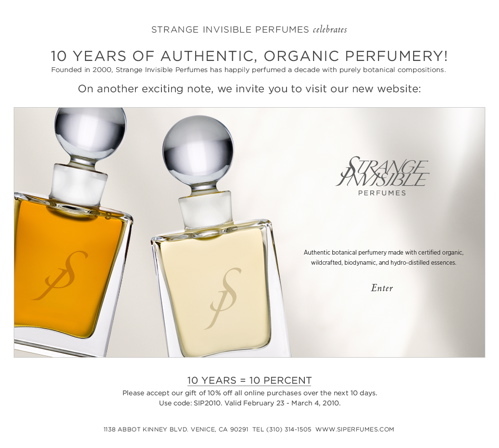 Strange Invisible Perfumes Celebrates 10 Years! Celebrate Strange Invisible Perfumes’ 10th Anniversary with a 10% off Promotion Code. It’s valid from February 23-March 4, 2010 online. The code is SIP2010. And do visit their new website, it’s beautiful and so much easier to navigate!